Will This New Tablet Make Paper Obsolete? No matter how versatile and convenient HD tablets become, for some, nothing beats good old-fashioned paper. 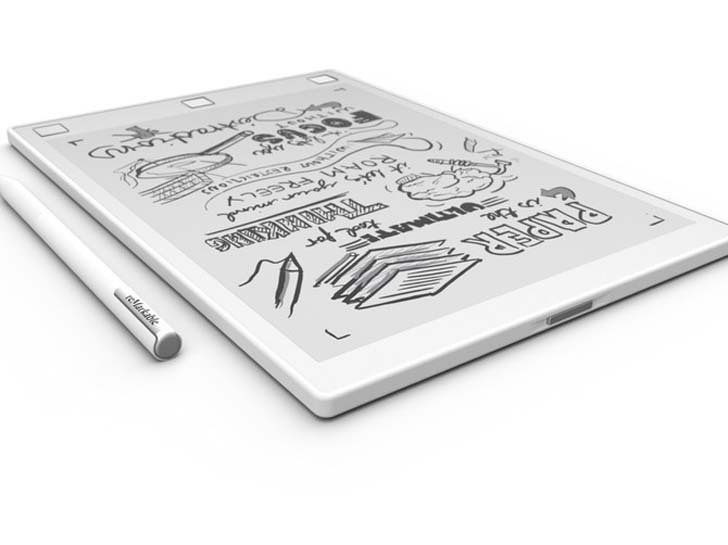 The new reMarkable paper tablet hopes to be the solution for people who want the flexibility of a digital tablet with the simple tactile experience of pencil on paper. E Ink technology has always offered benefits over traditional tablet screens, such as superior battery life and readability in sunlight, but its slow response time has limited its use to e-readers and niche products. The reMarkable tablet solves this weakness with its low-latency proprietary technology, reducing lag to a minuscule 55 milliseconds. The companion marker uses 2,048 levels of pressure sensitivity and tilt detection. And thanks to the breakthrough 10.3-inch canvas display, which mimics the feel of paper through the use of high-friction materials, the tablet comes as close to the original writing experience as possible, while 8GB of storage provides 100,000 pages for your ideas. Don’t expect to be checking Instagram or Facebook on it; unapologetically minimalist, the reMarkable even boasts that “no tablet has fewer functionalities.” The focus is on simplicity and maximum productivity, including syncing your work across multiple devices with the reMarkable app. Although $529 (plus $79 for the marker) might seem steep for a digital notepad, the preorder price is $379 and includes the marker, a soft case, and free shipping. The reMarkable tablet is scheduled to ship in the summer of 2017, and time will tell if it can draw a following.Below is a video of the exciting new technology. Tech Magazine: Will This New Tablet Make Paper Obsolete?